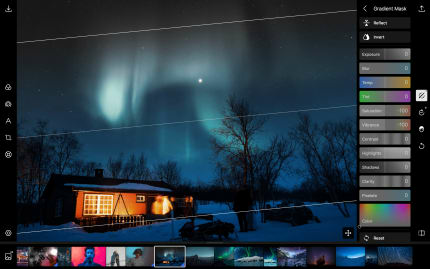 Powerful and easy-to-use photo editor. The app is tested against and intended to use for Ubuntu 16.04 and 18.04 LTS. For any issues with the app, please contact support@polarr.co. Open the Software Store app. Click on the Polarr Photo Editor. Toggle "Read/write files on on removable storage devices" to ON. 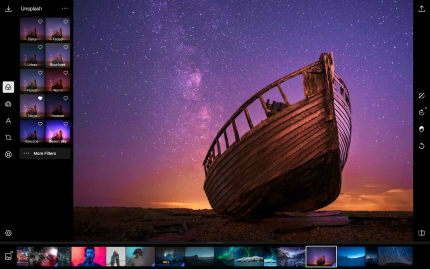 Overlays: Polarr now has overlay support! That means you can superimpose two images together or add things to your images. We've added a bunch of different effects to get you started. Look forward to adding things like light leaks, flares, clouds, weather effects, backgrounds, gradients, and more to your photos. Beyond the effects we included, you can choose your own photos! Up 12 different images can be stacked together. Our overlays work with all of the local adjustment masks too. Depth mask: Have a phone that captures depth data from dual lenses? Then you've probably used it to take some portrait photos. Our new update allows you to edit those photos and create local adjustment masks using that depth data! 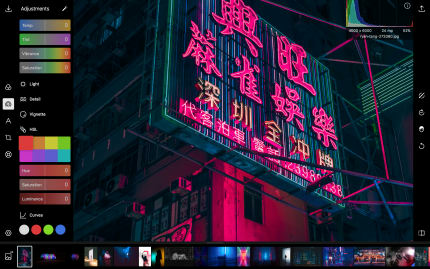 Duotone: Building overlays allowed us to introduce duotone editing to the app. You have a bunch of presets to chose from or you can build a duotone image from scratch. 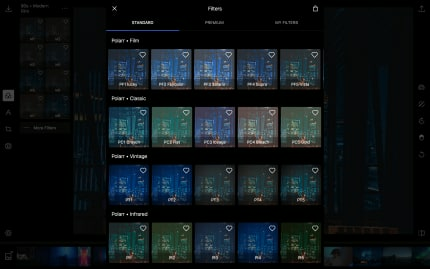 Subscription: Polarr Pro is how you unlock all the powerful and advanced features in the app. Pay for your subscription month-to-month or yearly! Either way, you'll be able to use your pro features on ALL of your devices. Enjoy! 8 point perspective distortion tool with auto clipping. 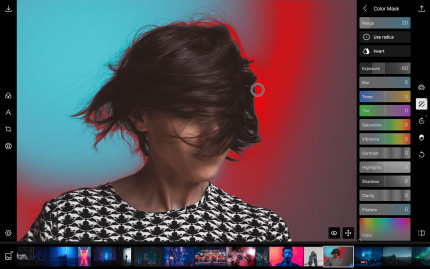 Pro members can use this new tool to create free distortion in their image. Edge-aware brush for pro members. Brushing automatically turns on edge aware to help you make more precise brush adjustment. Window snapshot for brush and liquify tools. You can now see where your finger is with a small activity window. Revamped filter creation dialog. It is now much easier to preview and configure your filters than previously. Make face edits part of custom filters. Updated native face detection support. Added removable-media to the app permissions. Updated RAW native support lib. Support more types of raw files at full resolution. Automatic face detection, expressions, and facial feature adjustments. Watermark tools, improved exif support. Pressure-sensitive stylus support and touch brushing. New brush tools. New healing and clone tools. Multiple color themes, including a new light theme and custom colors. All filters are playable and learnable now. Right click to Watch & Learn. Setting to show touches for screen recording. Added the Polarr app icon to display in the Ubuntu dash and dock.